The Studio Theatre Acting Conservatory has a forty-three year history of training artists in small classes taught by devoted, committed teachers. Our instructors are dedicated to expanding each student's abilities whether in a beginning class or the three-year curriculum. In the heart of Logan Circle, excellent facilities and free rehearsal space are provided for actors in Studio's 4-theatre complex. A full range of scholarships and financial aid are available. 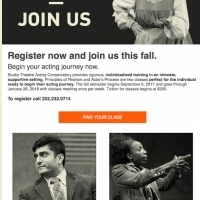 Acting classes for beginners, advanced actors, and actors who want to work on their voice and body are offered throughout the year. 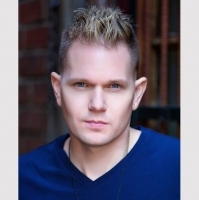 Join us to expand your acting career with top-ranked training and unparalleled value.